In this pioneering and timely book, Lampert examines the ways in which cultural identities are constructed within young adult and children’s literature about the attacks of September 11, 2001. Looking at examples including picture books, young adult novels, and a selection of DC Comics, Lampert finds the co-mingling of xenophobia and tolerance, the binaried competition between good and evil and global harmony and national insularity, and the glorification of both the commonplace hero and the super-human. 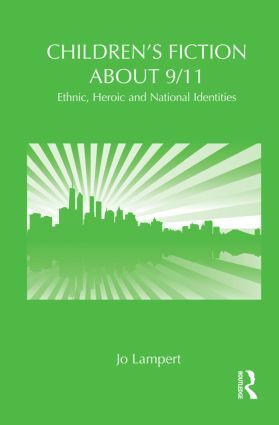 Specifically, Lampert identifies three significant identity categories encoded in 9/11 books for children--ethnic identities, national identities, and heroic identities--arguing that their formation is contingent upon post-9/11 politics. These shifting identities offer implicit and explicit accounts of what constitute good citizenship, loyalty to nation and community, and desirable attributes in a Western post-9/11 context. Lampert makes an original contribution to the field of children’s literature by providing a focused and sustained analysis of how texts for children about 9/11 contribute to formations of identity in these complex times of cultural unease and global unrest.